Simply Streep – The Meryl Streep Archives » » Year in Review & Merry Christmas! Year in Review & Merry Christmas! 2013 comes to an end (as fast as it has started), so annually a Year in Review has been compiled with all the essential highlights of the year. If you think it has been a quiet year, you may be surprised by the workload it has brought to Meryl. Click the image below to launch it. 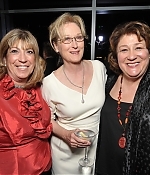 Additionally, over 80 additional pictures from the “August: Osage County” Los Angeles premiere have been added with many thanks to my friend Lindsey. 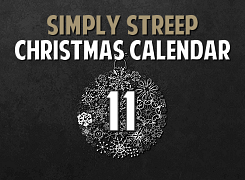 This is the last update of 2013, so I’m wishing a Merry Christmas and Happy Holidays to all the visitors of Simply Streep. Spend a good time with your family and beloved ones and see you all again in 2013. As a last word, in case you have missed the Christmas Calendar hosted on Tumblr, be sure to revive all the specials posted over this month.